High above the streets of Rochester, NY, atop the Times Square building, is a nest box occupied by two Peregrine Falcons, Beauty and Dot.ca. Five cameras give you an up close and personal view into the fascinating world of these falcons as they raise their young and prepare them for life on their own. Enjoy high quality pictures and live streaming video. Read the Imprints and Falcon Watch blogs for current information. 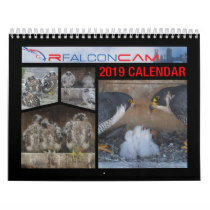 Join the Rfalconcam Forum and chat with others who share your love of Peregrine Falcons, the fastest creature on the earth. Be sure to visit our Stores for Rochester Falcon merchandise. Apr 7, 2019 - Beauty lays her 4th egg of 2019. Details in Imprints. Apr 4, 2019 - Beauty lays her 3rd egg of 2019. Details in Imprints. Apr 2, 2019 - Beauty lays her 2nd egg of 2019. Details in Imprints. Mar 30, 2019 - Beauty lays her first egg of 2019. Details in Imprints. Mar 11, 2019 - Beauty and Dot.ca are spending time at the Times Square nest box. Jan 1, 2019 - Beauty and Dot.ca continue to stay in Rochester over the winter. Aug 19, 2018 - All 3 2018 Downtown Rochester juvies are no longer seen. Jun 20, 2018 - Sundara fledges. Jun 17, 2018 - Letchworth fledges. Jun 15, 2018 - Mike fledges. May 29, 2018 - The eyases are banded by the NYS DEC.